David Ruffin left The Temptations in 1969 ready to take on the world, but after one big hit with My Whole World Ended, he hung in limbo for a few years. There were 4 solid albums released and one that was shelved entirely, each with at least a couple songs that should’ve been hits. Why weren’t they? I have a theory. Ruffin was mercurial, self assured, and dangerous, three traits Berry Gordy did not value in an artist. But had Motown contractually cut him loose to go to a competing label, it would’ve been a disaster. So they kept him on the payroll, under-promote his work, humble him, keep him at arm’s length- no closer, no farther. By 1975, things were very different at Motown. Gordy had moved the entire operation out to California and largely removed himself from day to day matters at the label. The best days of The Temptations were behind them. They had lost Paul Williams, they were losing Eddie Kendricks, and Norman Whitfield was no longer producing their records. Psychedelia was out. Disco was in. Motown, for once, was behind the trend instead of in front. Gordy sat by the pool. Ruffin’s phone rang. Van McCoy was on the line, and he had a plan to follow up his hit, The Hustle. 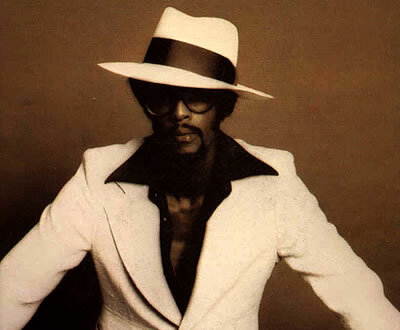 He needed firepower to keep that vibe alive, and David Ruffin was an explosive cat. In the past he had been too explosive, in fact. He carried a reputation for an ego that had overcome his senses, and The Temptations survived without him. Six years can be a long time in the life of a man, however. The title of the album and the title of the song that would be his first hit in all that time told the story. Who I Am is a beautiful record. Filled with strings and lush arrangements, the instrumentation bumps, trumps, and soars as Ruffin’s gruff voice regally strides over it and against it, depending on the tune. Once again, Ruffin would be on top and in a cool groove. He would get another single up on the charts with Statue Of A Fool, a track about living in a mistake forever when your heart tells you to. David Ruffin did his best work when he sang what he knew.